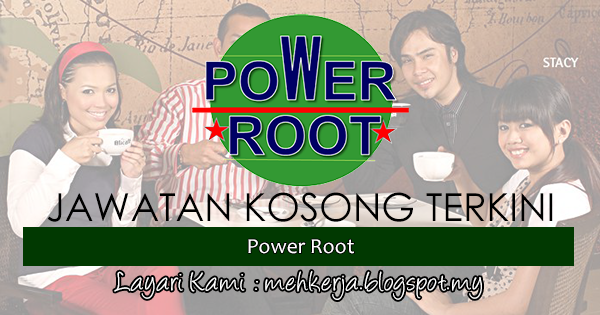 POWER ROOT (M) SDN. BHD. was founded on 23 July 1999 in Johor Bahru, Johor. It is a leading company to develop and promote herbal energy drinks fortified with two main rainforest herbs: Eurycoma longifolia Jack or commonly known as "Tongkat Ali" and Labisia Pumilia and Pathoina or "Kacip Fatimah". These herbs are indigenous to Malaysia and its properties for promoting physical well-being are highly regarded by Malaysians. 0 Response to "Jawatan Kosong di Power Root - 10 Aug 2018 [Gaji : Negotiable + Attractive performance bonus & secure parking] "